The next person that asks me that is gonna get kicked in the groceries..
Well, what kind is it? Location: In the woods looking for my thrown putter. Is that one of those turbocharged V6 Mustangs? I did not think you were a Ford guy. Is that one of them there Fierorari's? With a bolt-on supercharger, that Mustang could probably keep up with a Viper. Laugh, but I had an "encounter" with one of those once in my C6 on a closed track at about a 65mph roll. By 110 "it" was 4 car lengths ahead of me. Have no idea what you could cram into a Fiero to make it that fast. I was so embarrassed I almost sold my car. The only race I ever lost in my '68 camaro in high school was to a fiero. We pulled over, and it was an older guy. He popped the back and he had managed to stuff in a 350 v8 sideways. Some kit he ordered. Man that thing was fast..
Northstar V8's fit in there pretty well too. I've seen those as well, but this thing had to have nitrous or about 30 pounds of boost. I have never been walked so bad. Yeah, and the "car" only weighs what? 1,200 pounds? Aren't they all plastic? 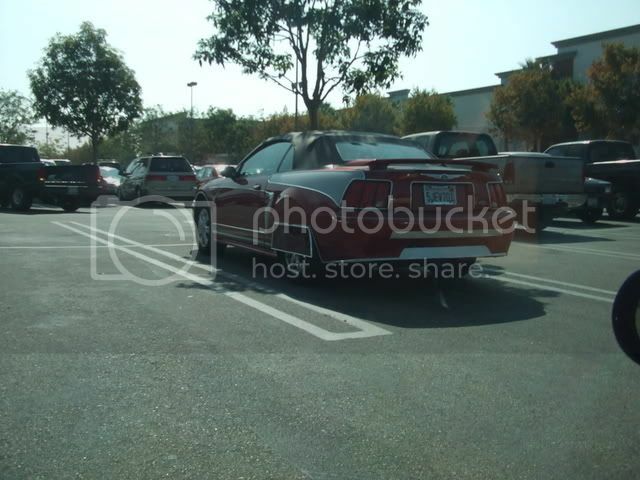 Quick Reply: What Kind of Fancy Mustang is that?